He says that he got his inspiration from my birthday dash last year when we did something similar with a neighborhood run, homemade bibs and even virgin mimosas! 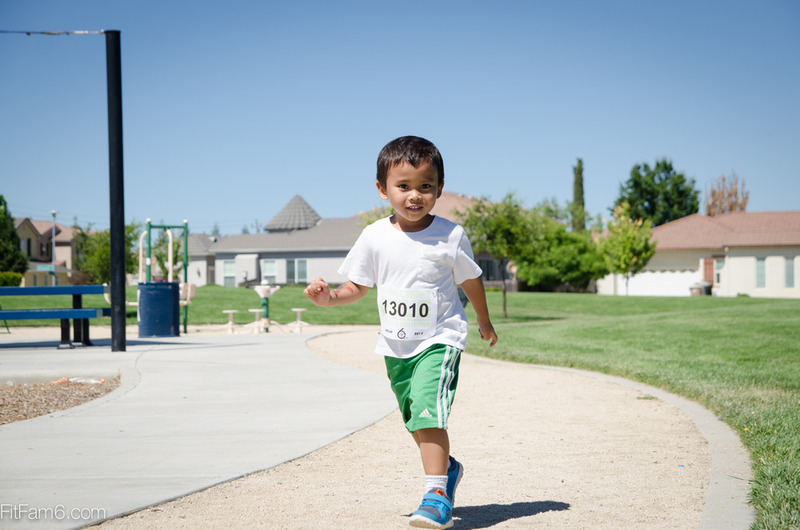 Since Minecraft is all the rage with the kids these days, he wanted to incorporate that theme with his love for running at his Birthday party. Here's the best part. Jacob asked that the invitees bring $5 for a charity that donates shoes to needy local student athletes. So, the crafty juices began to flow and out came life-sized Minecraft creepers and pigs. 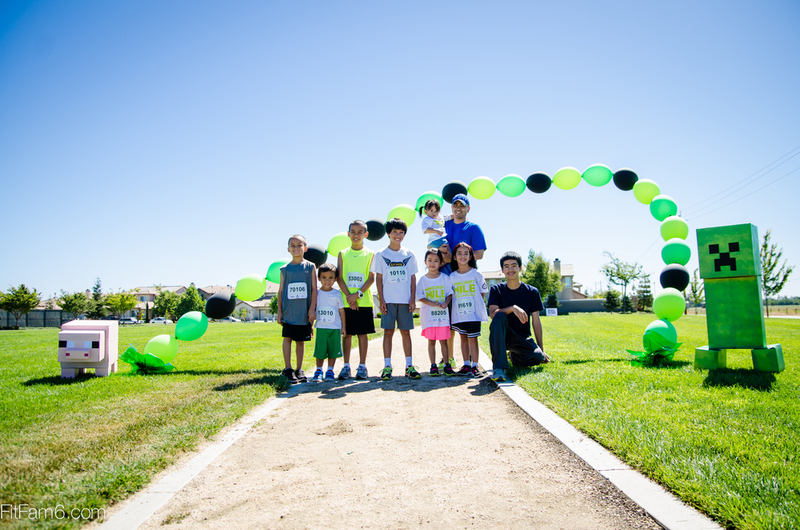 A balloon arch was brought in for the run and homemade bibs were created along with the best part - participant tees! 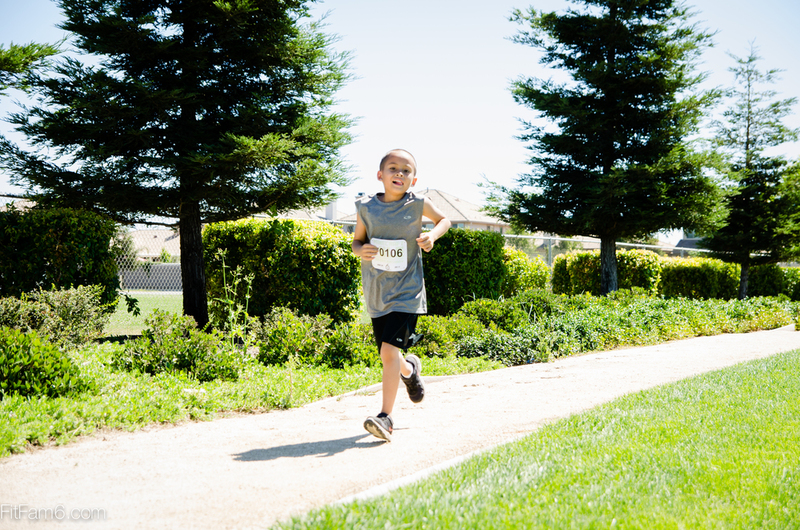 It was hot that day but since the run was only a mile and earlier in the day, the kids were able to power through it. Oh i forgot to mention that there was even a water station at the half way point on the course! Overall, the party was a success, the kids enjoyed the run, the theme and had a fun time.